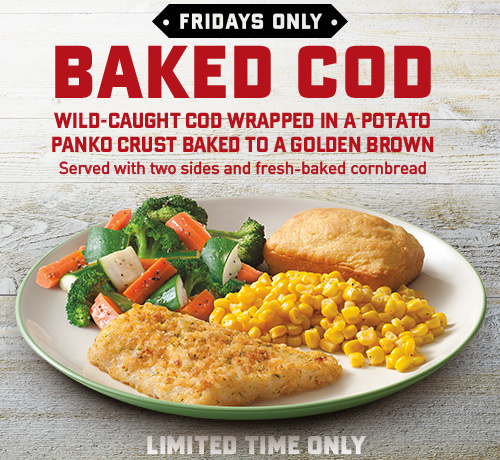 Boston Market has a special today where you can get Wild-Caught Cod wrapped in a potato panko crust along with 2 sides and fresh baked cornbread for only $8.79! No coupon necessary! For the chicken lovers, Boston Market has another special through April 15th, where you can get a Half Chicken Individual Meal and a Drink for only $10.40! Click here for this coupon!